This is a very rare GEC Muraphone and is made from a beautiful white thermosetting Bakelite material. It is as near perfect as you will ever see and have no damage colour staining cracks or chips. 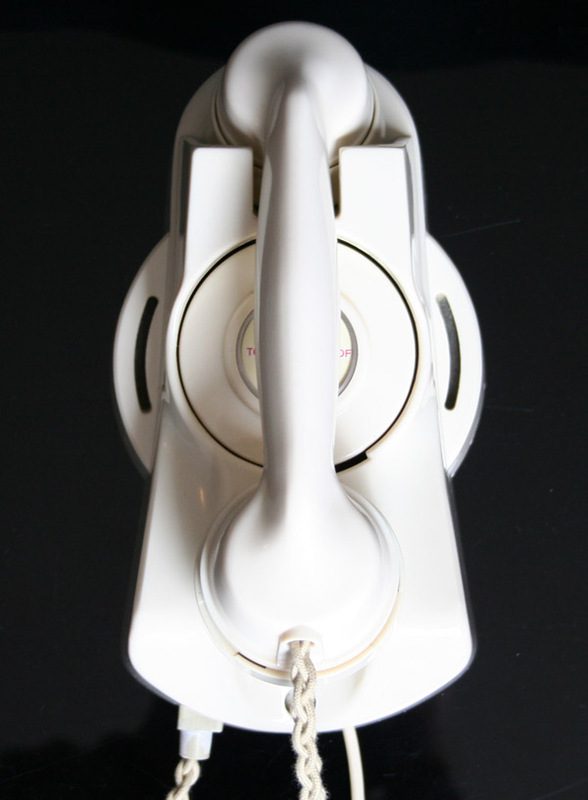 It has an internal buzzer and a CB plate rather than a dial. This model was used on board ships and may well have come from the Queen Mary as these GEC models in ivory were the models used. 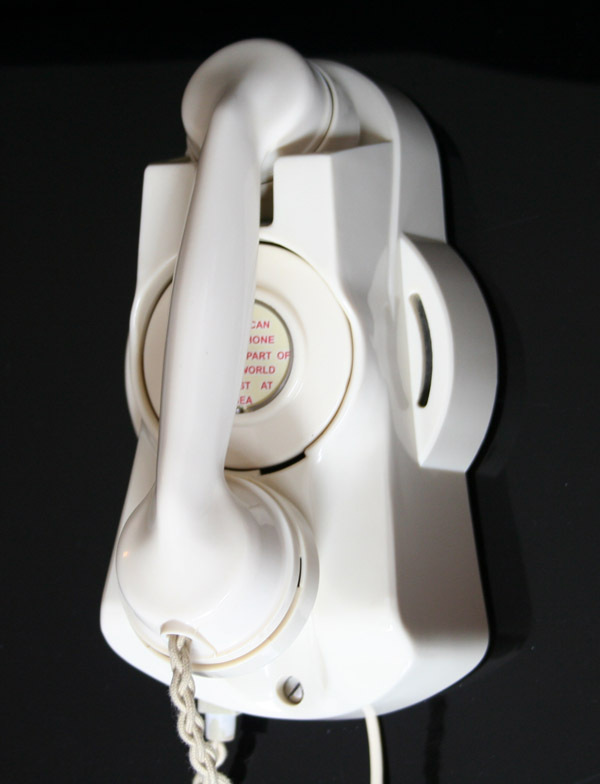 This is a genuine telephone and real collector’s item. 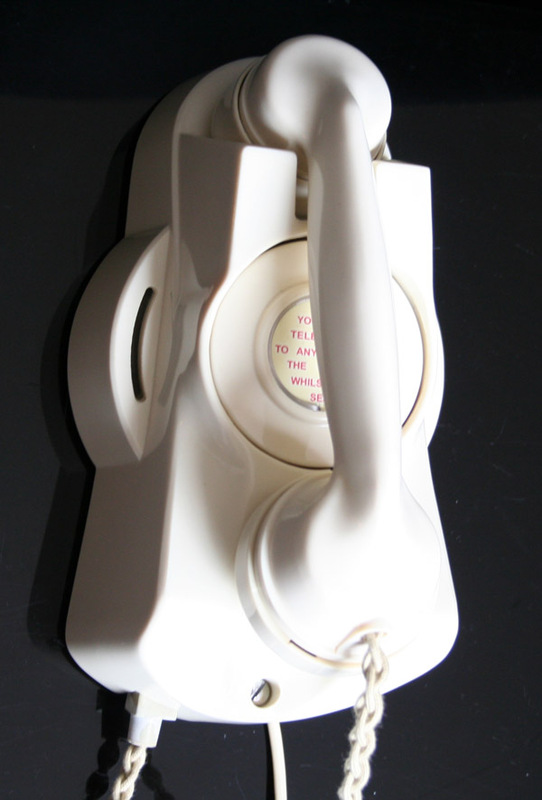 The ivory handset cord is a hand plaited reproduction but I do have the original which is the rubberised plaited type and I have never seen one that has not perished until now. 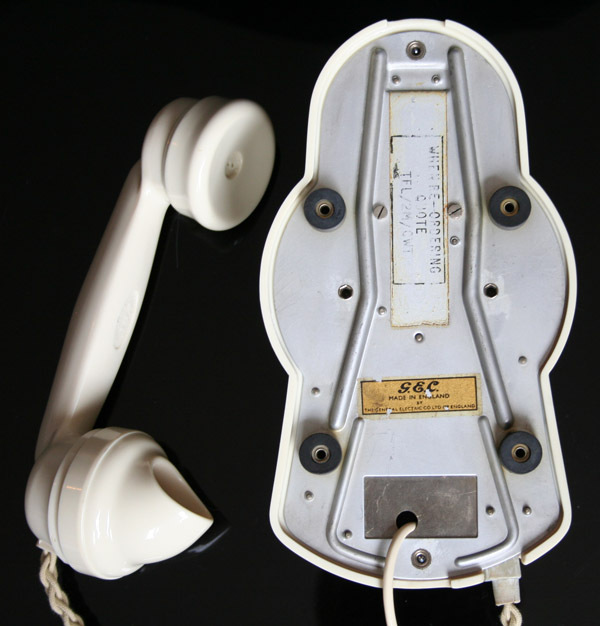 I can supply this with the telephone and the reason I have removed it is it has some staining and may spoil the perfection of this telephone. The dial label is a reproduction. 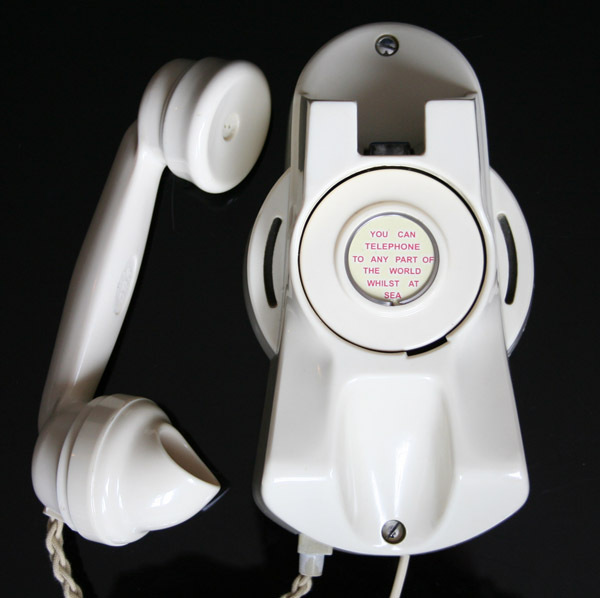 The telephone is fully working to receive with an electronic microphone and its original internal buzzer. If you would like a dial and bells fitted internally then I would modify it for an extra £50.